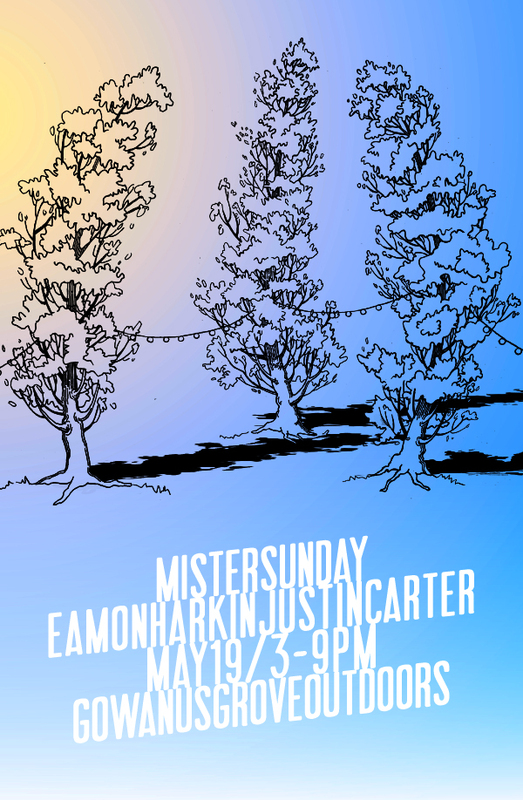 We’re easing on into summer in Mister Sunday fashion: Country Boys; Brooklyn-brewed beer, Mexican Cokes, Limonata, homemade sangria and those poplar trees. And, of course, Eamon Harkin and Justin Carter. Hey there. At Gowanus Grove, we are all ages, but on Saturday night, most of the time we are 21+. See you soon!